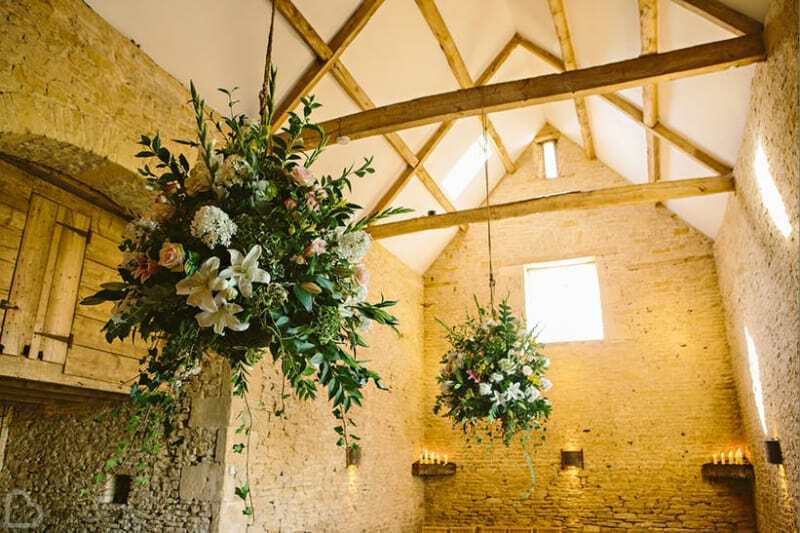 Are you dreaming of a beautiful barn wedding in South West England? Then go no further! Barns are spacious, versatile and offer heaps of character and charm to your special day. 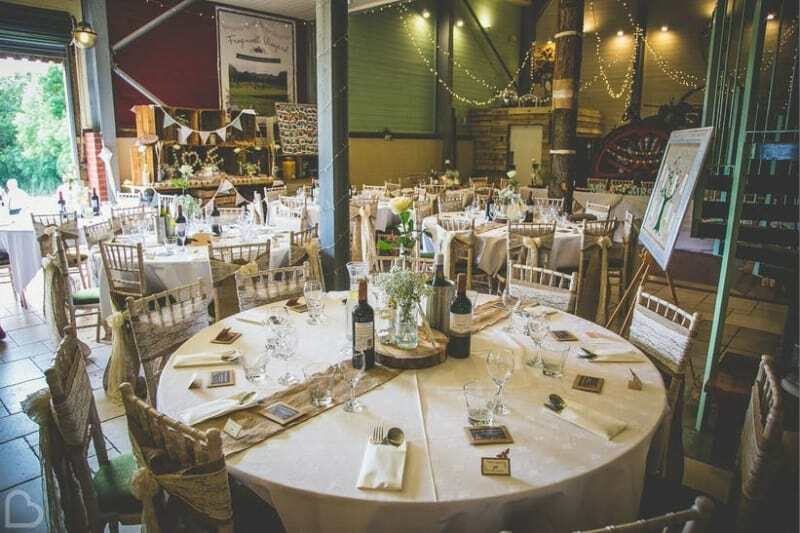 There are so many incredible barn wedding venues across the whole of the UK, but here are our top 29 barns based in Devon, Somerset, Dorset and even more that we’ve fallen in love with! If you’re after a stunning barn to tie the knot in your area, use Bridebook.co.uk’s Wedding Venue Search, and choose ‘Barn’ in the filters. Happy planning! Trenderway Farm is a Grade II listed farmhouse and restored barns based in the lush countryside of Cornwall. 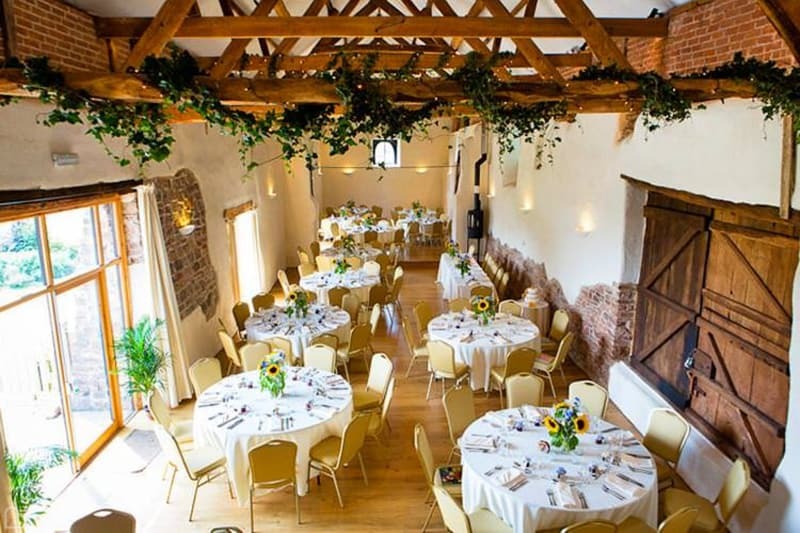 With beautiful oak beams and an original stone interior, this venue has lots of character to add to your magical day. 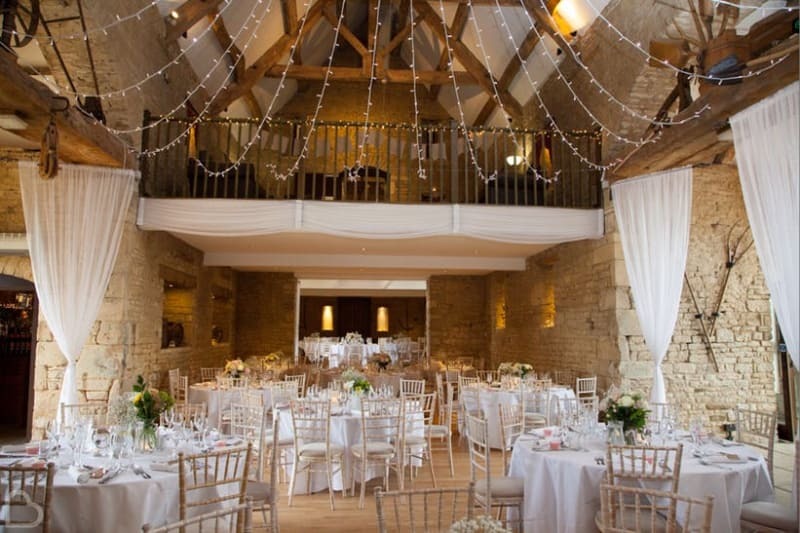 Within rural countryside sits Cripps Barn, a real gem of the Cotswolds. High stone walls and classic features such as the open fireplace and flagstone floors give this venue an incredibly romantic feeling for your special moment. 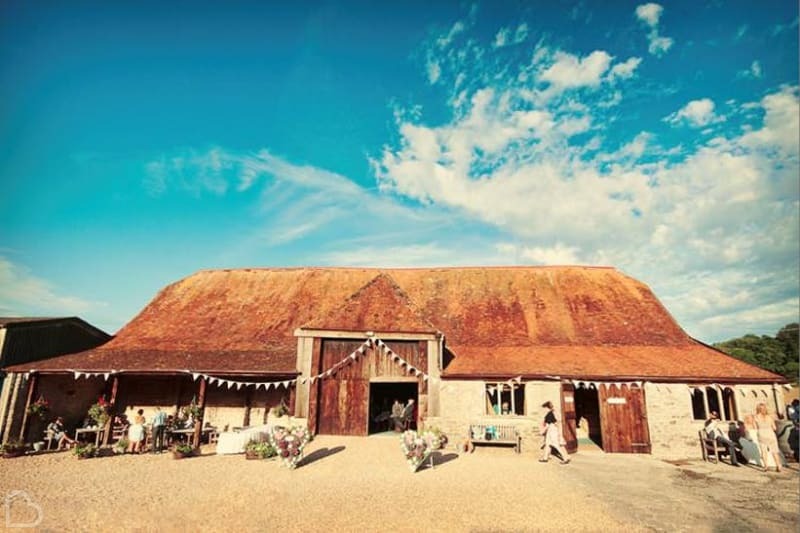 Offering a quaint Barn and stunning country views, The Barn at Cott Farm is a perfect spot to host your wedding. 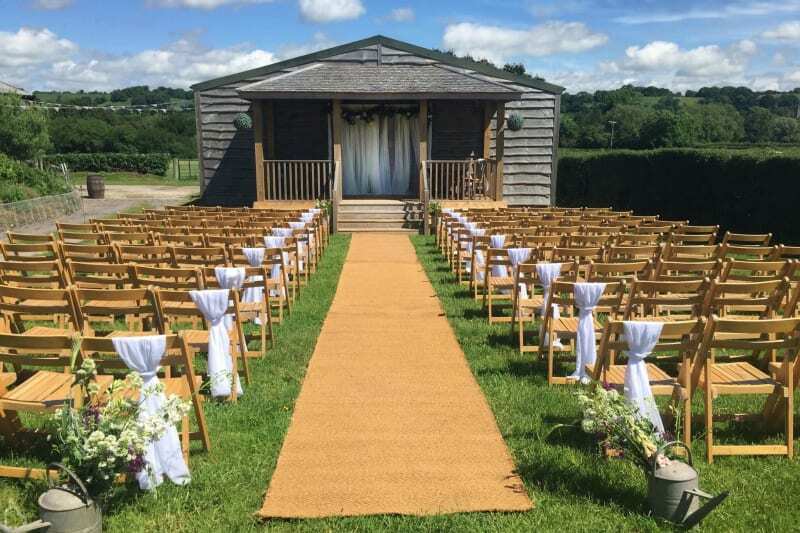 This spacious country wedding venue even gives you the option of having your ceremony outdoors! How perfect. The Tithe Barn within the Symondsbury Estate is a 14th Century English barn in a tranquil village in Dorset. Glass entrances, stone floors and exposed oak beams give the venue interior a really elegant vibe for when you tie the knot! Somerset’s no.1 wedding venue comes in the form of Quantock Lakes. With 200 acres of grounds and picturesque waterside views, the location of the newly-built Quantock Barn couldn’t get any better. Natural light and exposed wood beams make this barn a stunner! The Great Tythe Barn, with its highly versatile space and lush lawns right outside, makes the ideal backdrop for any barn wedding. For a quaint ceremony or a lively reception party, this venue can handle it all! Nestled in the Cotswolds, Hyde House & Barn offers a blank canvas for you to draw upon your creativity. The sleek-looking interior and elegant exterior of this venue allows you to put your own stamp on your wedding day. 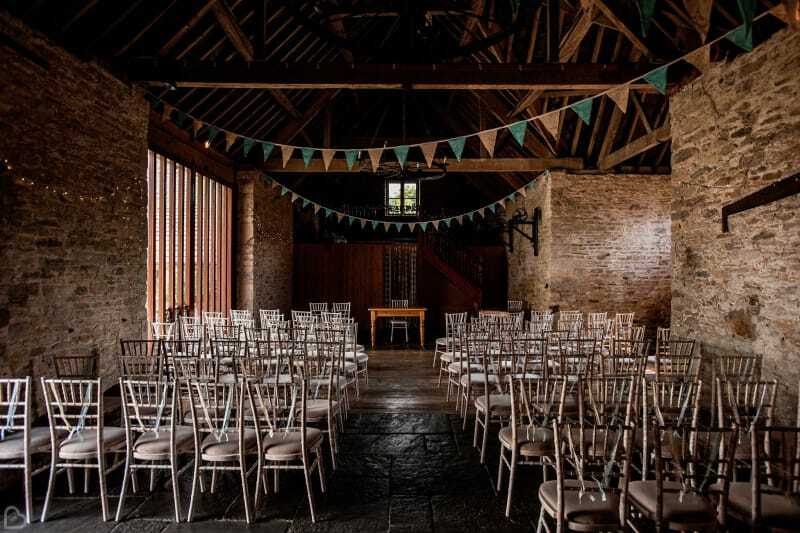 The airy feel of Winkworth Farm makes it stand out from other barn venues. Natural light floods in, restored stone walls surround the space, and you can focus on having the party of a lifetime. 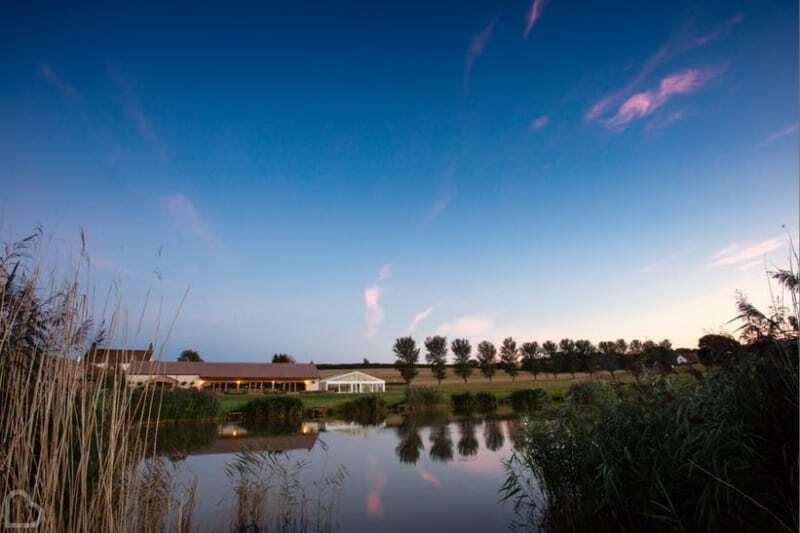 What’s more, your guests can spill out onto the gardens and many acres of farmland. Including an original farmhouse, threshing barn and organic farmland of 65 acres, River Cottage HQ totally suits a barn or country theme! Let your guests explore the land and relax in the yurt, while you host a celebration to remember! 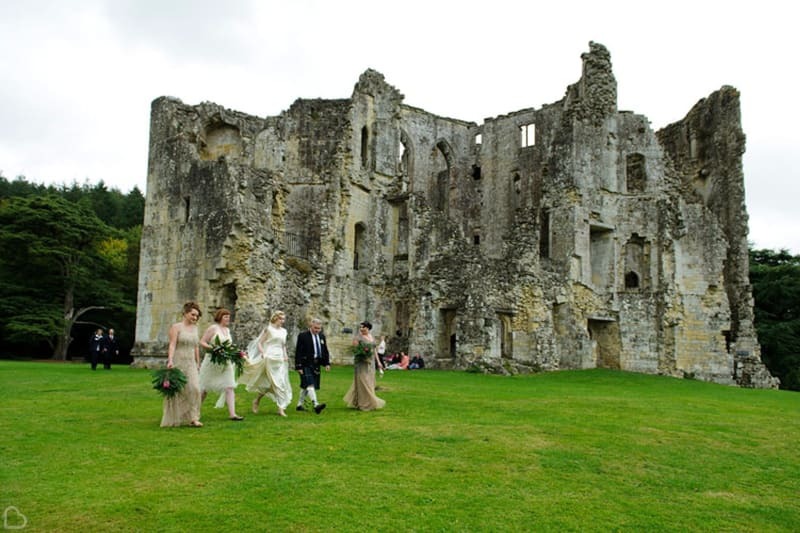 The Dorset countryside wherein The Victorian Barn stands is the idyllic location for the best day of your life. The high ceilings and brick doorways give this venue just enough character for your wedding day without stealing the limelight from the Bride and Groom! 37 acres of countryside just south of Bath lies the 16th Century Barns at Wick Farm. 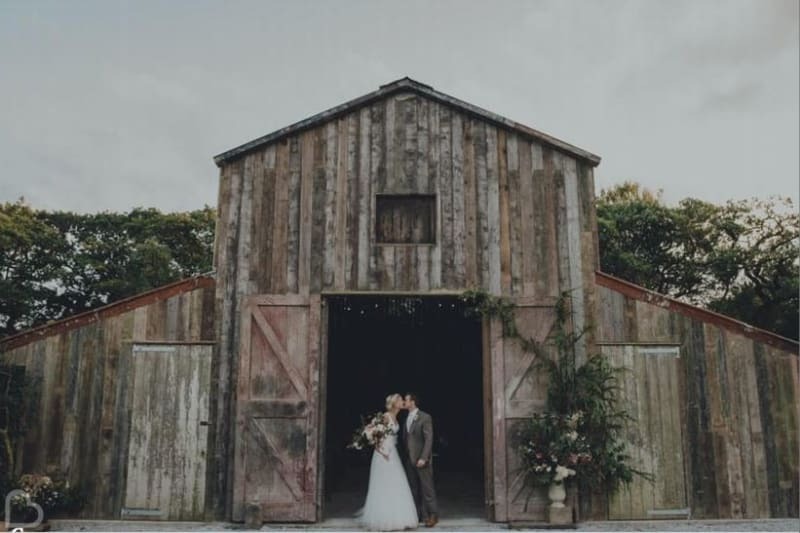 Based on a farm with livestock and a duck pond, these 2 adjoining barns offer gorgeous stone walls and wooden beams that will set the most romantic tone to your wedding. 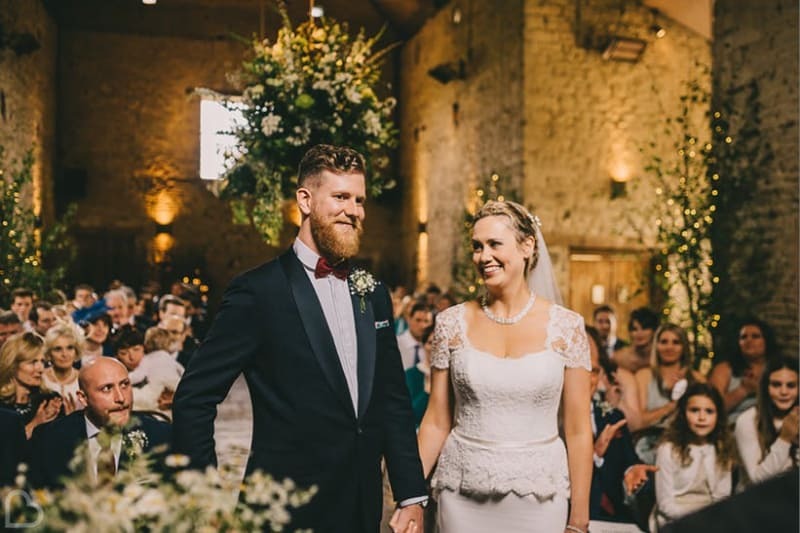 Nestled in the heart of Somerset and 200 acres of countryside, Huntstile Organic Farm is a 15th Century farmhouse with attached dining marquee. 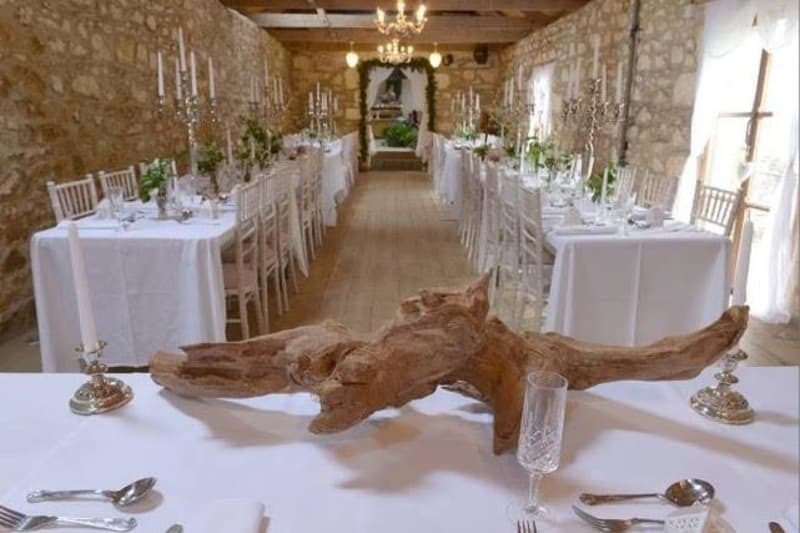 With a choice of ceremony rooms and even pet pigs on site, this unique farm is what dreams are made of! 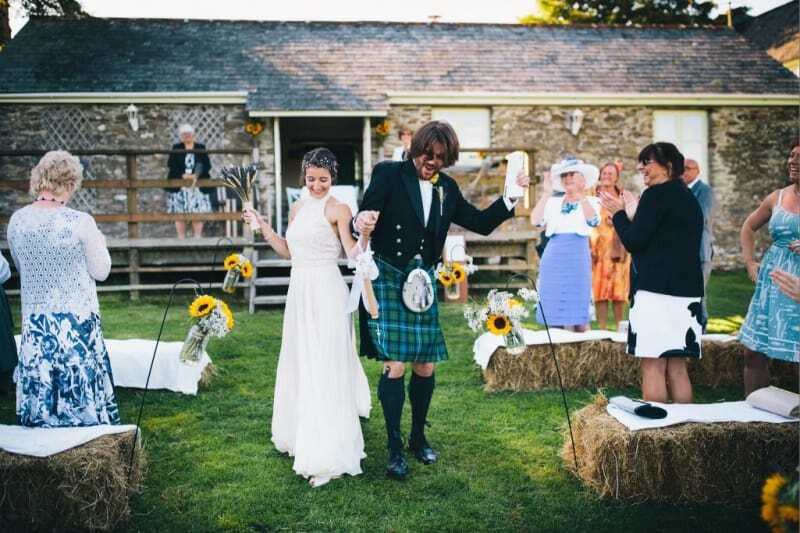 Within Dartmoor National Park, Monks Withecombe brings sunny courtyards, stunning gardens, and several rooms to host your wedding celebrations. From intimate ceremony spaces to the meadows that can be filled with a marquee and hundreds of guests. Time for a barn dance! Acres of lush countryside surrounds The Barn at Barons Hill Farm, where spectacular views can be seen. Rustic on the outside, yet contemporary on the inside, this venue is ideal for making your dreams come true. This superbly unique and eco-friendly venue oozes rustic charm from every inch. 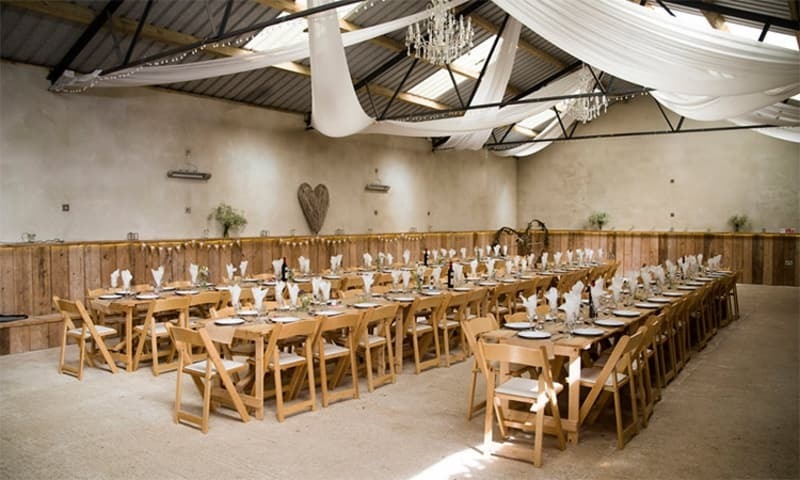 Eggbeer Farm is a versatile space, perfect for holding weddings, and the barn is a stunning area for your themed celebrations! 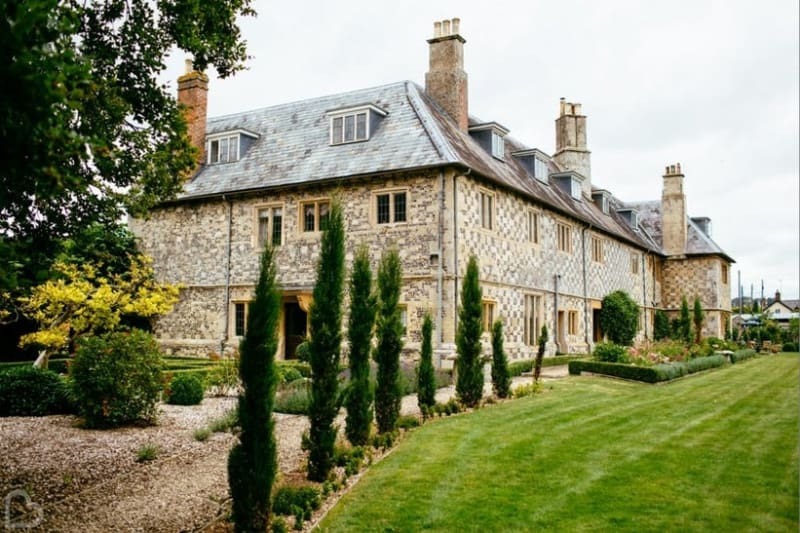 Based right on the edge of a picturesque Devonshire lake, the barn of Duvale Priory offers a spectacular place to host your wedding celebrations. 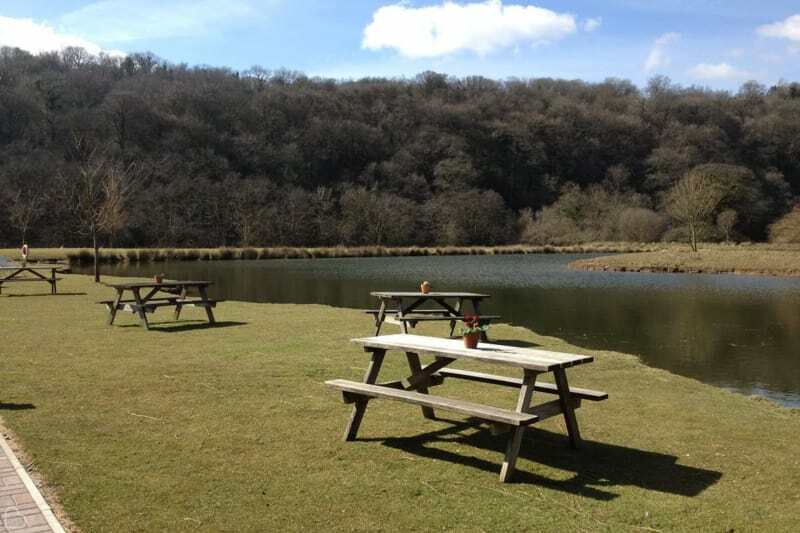 With lush green surroundings and idyllic views, no fairytale wedding would be complete without this location! 400 acres of land and a stunning thatched exterior welcome you to Middle Coombe Farm. 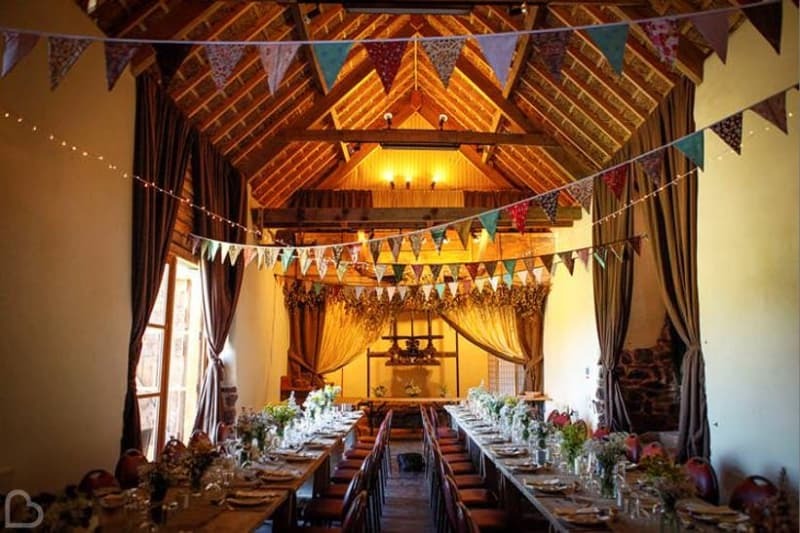 The high-ceilings and magical vibe of the Cider Barn interior is sure to make your celebration special, while the exclusive use of the woodlands would be an incredible backdrop for your wedding photos! As a distinctive 17th Century boutique building, The Manor Barn is undoubtedly breathtaking. 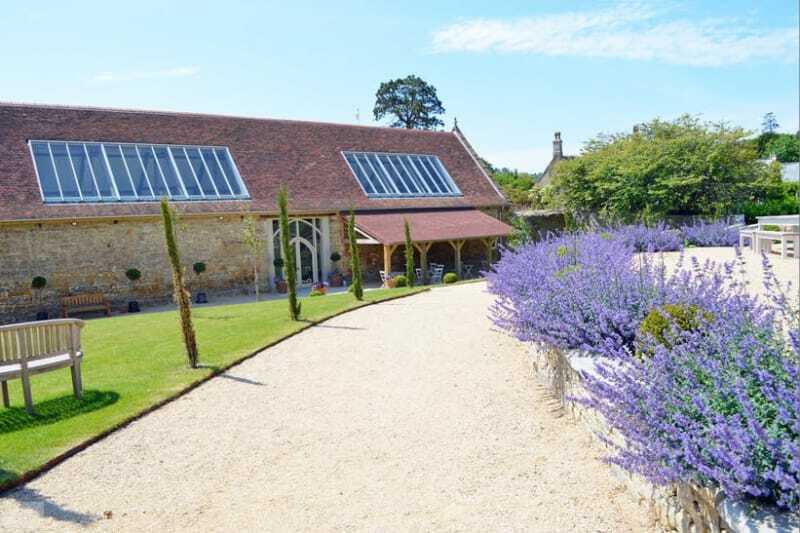 It’s a traditional brick and flint stone barn with vintage gardens and is restored with a contemporary feel. Sat right on the doorstep of Stonehenge Heritage site, this venue is a real rustic retreat. 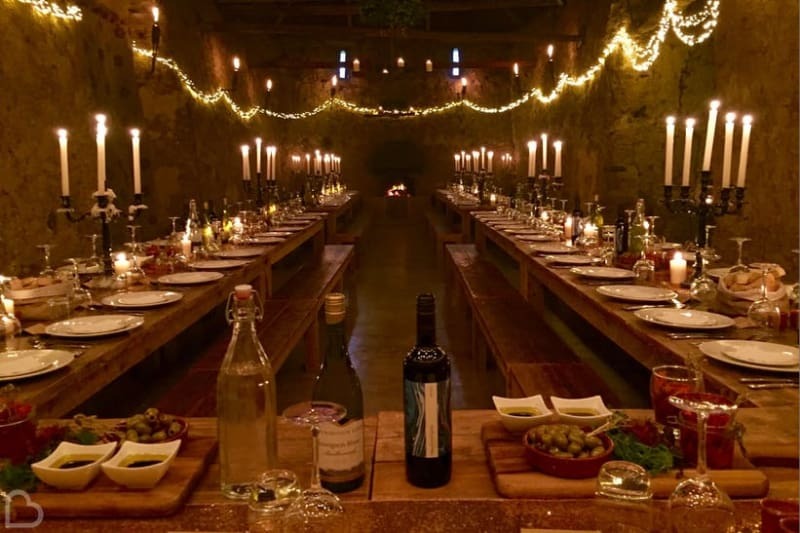 With iron chandeliers hanging from the ceiling and farm tools covering the stone walls, this venue is incredibly memorable. Kingston Country Courtyard has tons of character, ample outdoor space, and even it’s own wishing well. Let the party begin! 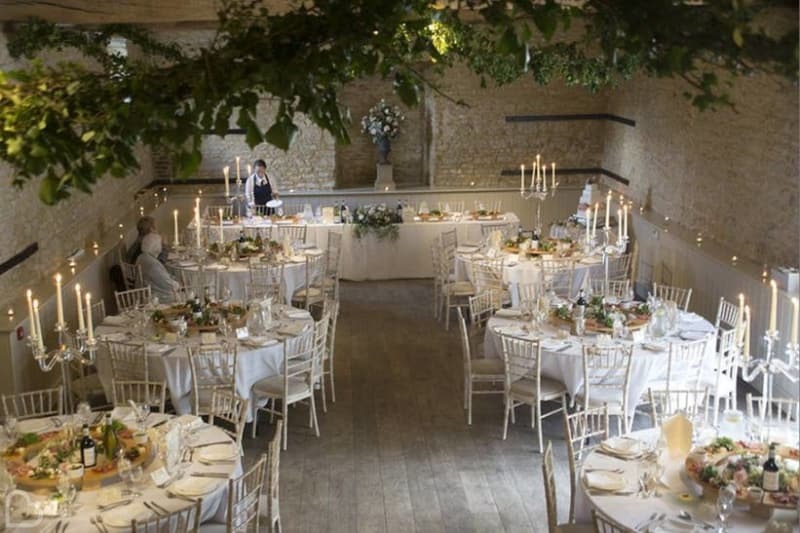 The elegance of the Georgian house and the country charm of the Mill barn come together to create the ultimate wedding venue, Launcells Barton. 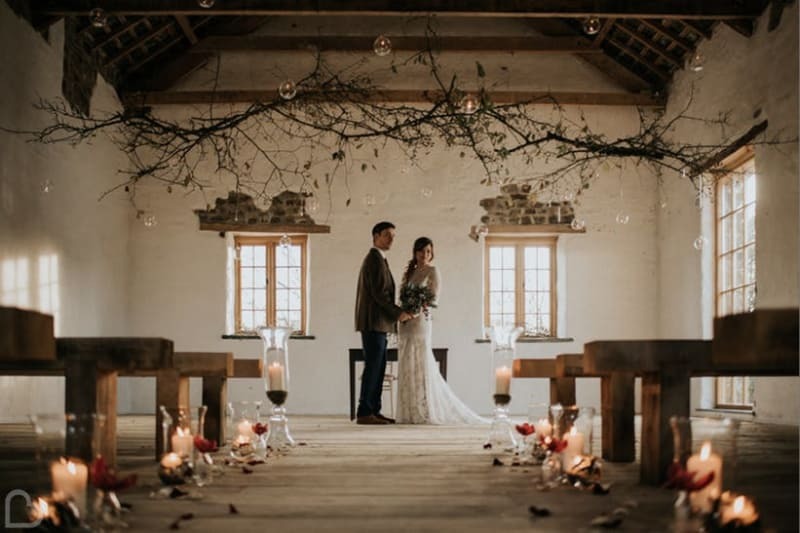 Original features shine through on the interior and exterior of this wonderful site, and views of the Cornish countryside give you all you need for your barn wedding. 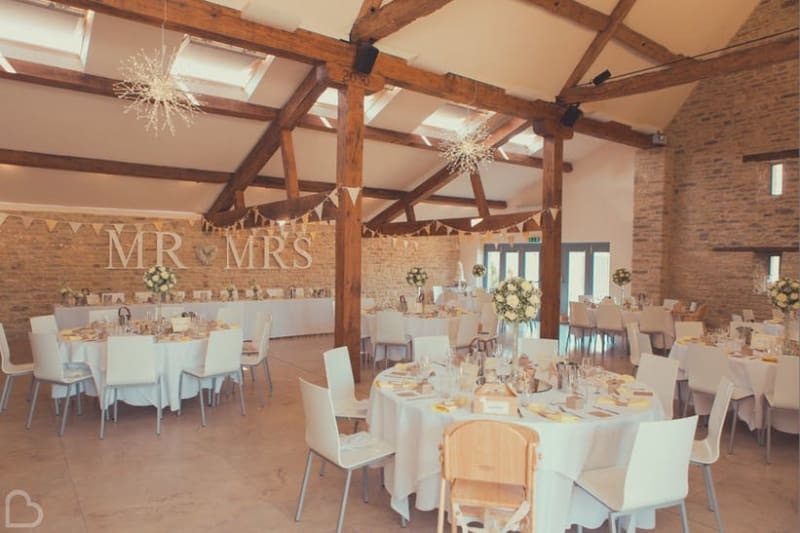 Set on a farm amid the rolling countryside of the Cotswolds, Oxleaze Barn is a classic venue with lots of rustic charm to build your own bespoke wedding theme. The barn has been beautifully restored to reflect the earthy goodness and beauty of its surroundings, with exposed beams and stonework, an open fireplace and wide doorway that opens onto a private courtyard and garden. 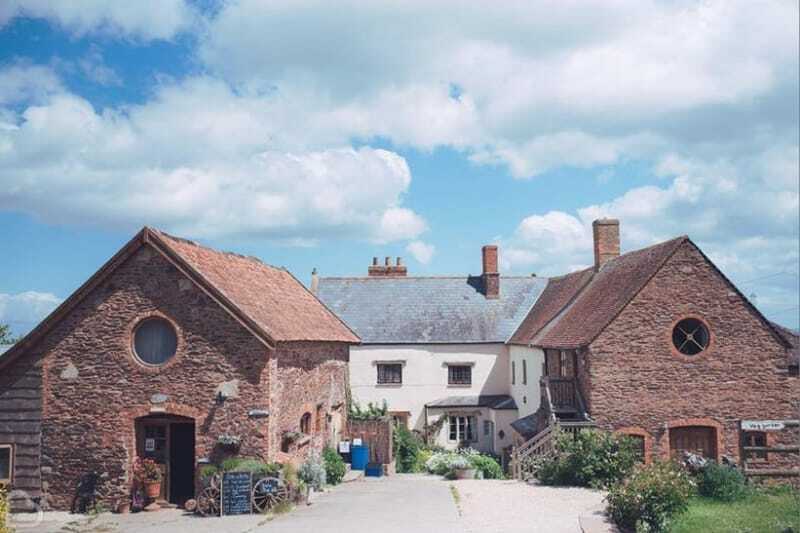 Sat in a beautiful valley just down the road from Exeter, The Great Barn is a simply stunning wedding venue inside and out. 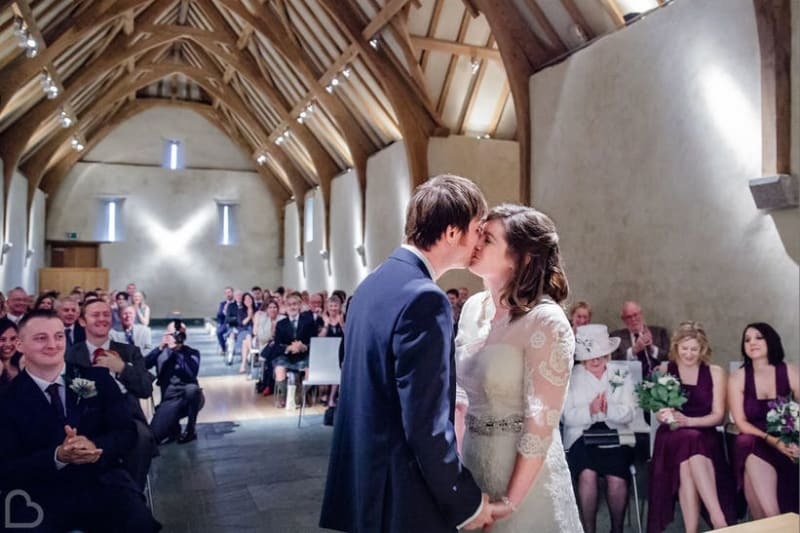 Known as the “thatched cathedral”, the high ceilings and restored beams of this building offer plenty of space and inspiration for your barn wedding. 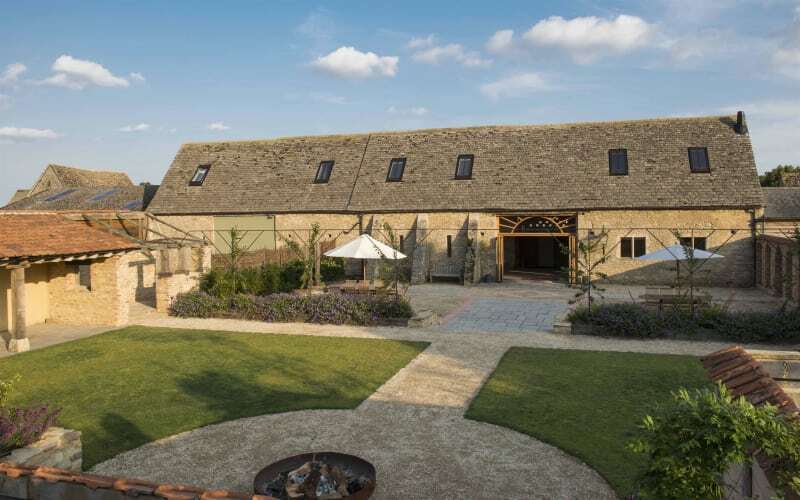 Nestled in the Gloucestershire countryside, Cripps Stone Barn is a gem of South West England. Gorgeous stone work will surround you and your guests as you celebrate your big day, while the rustic metal exterior makes a brilliant backdrop for photo opportunities. What more could you want? 400 acres of Wiltshire countryside is home to a working farm and the relaxed feel of Rye Hill Barn. Plenty of natural light and exposed wooden beams will make you feel at home in this lovely barn setting. 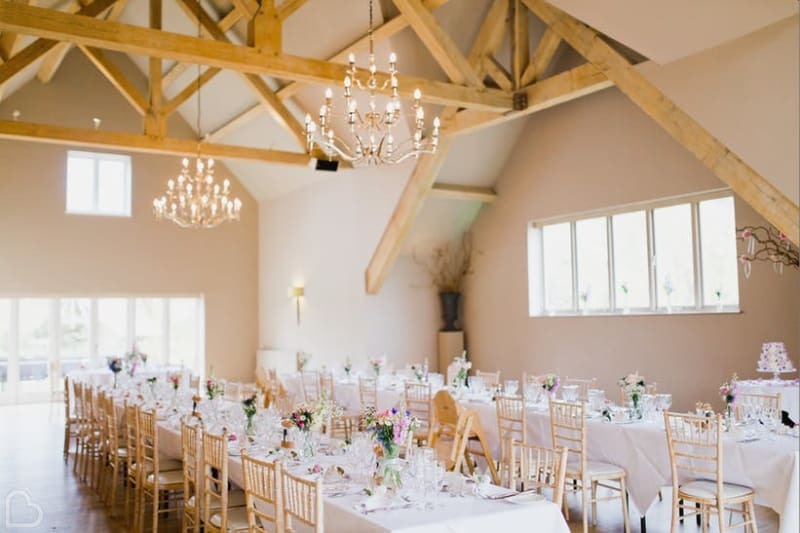 The spacious feel to Lower Stockbridge Barn in the Dorset countryside makes this venue truly unique. 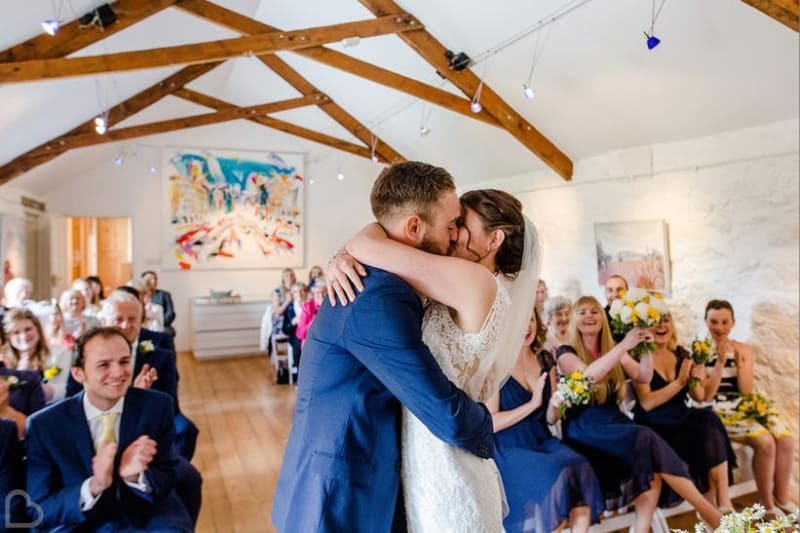 Everything from the magnificent exterior to the exposed wooden panelling inside set it apart from other barns and will add a very special backdrop to your wedding day. Only a few miles from the Cornish coast, this barn is based on a working farm. With original wood features and a contemporary restoration inside, the world is your oyster at Nancarrow Farm! Nestled within the Devonshire countryside, Forginwell Vineyard is an idyllic wedding setting. 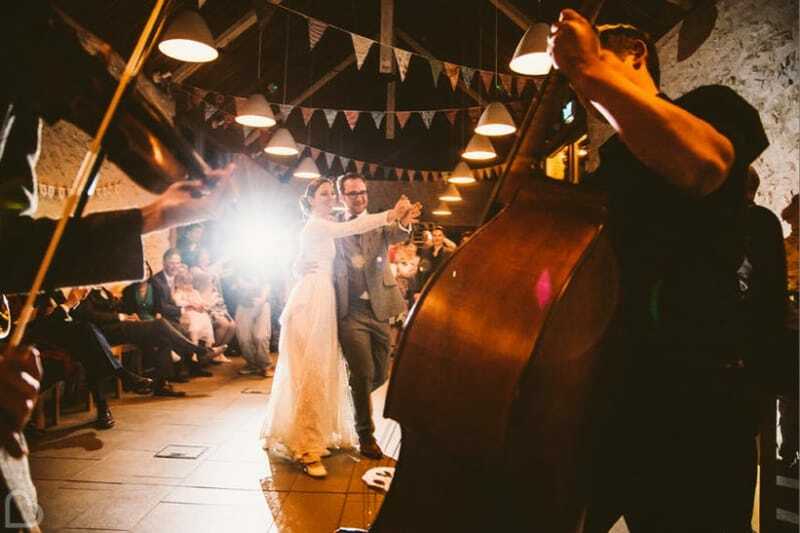 With plenty of outdoor spaces to entertain guests and distinctive vintage items around the site, your barn wedding will be unforgettable. 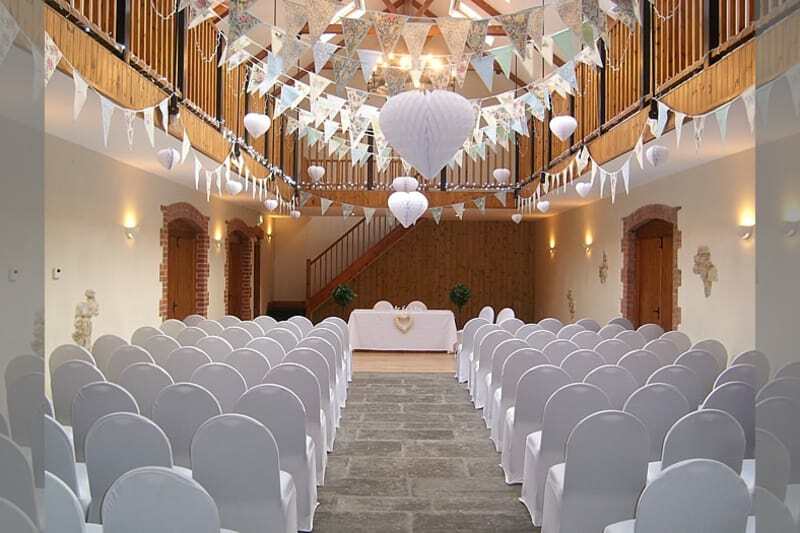 In the heart of Devon lies The Corn Barn, a wonderfully converted barn ideal for a wedding. Following through the building is a theme of tasteful exposed brickwork, and wooden beams give a rustic edge to this venue. With a 6000-year history and having been built on the site of an Iron Age stone circle, Crasken Eco Centre is a mysterious and enchanting backdrop for your wedding. Surrounded by wonderful courtyards and green gardens, this barn is definitely not one to forget! If you’re still struggling to find the perfect venue near you, try our Wedding Venue Search – and you may just stumble across the one. Bridebook.co.uk can also help you with all your other planning worries, such as suppliers, your personalised wedding checklist, and that all important budget!